D.I. 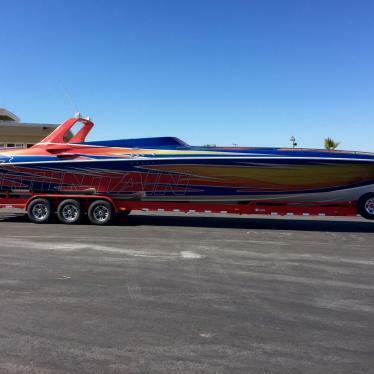 Auto Care in Phoenix, Arizona, has announced that they are now providing boat detailing services for those in Phoenix, AZ, and surrounding areas. The detailing services company says that they are now offering boat detailing that will take place wherever the client's boat is located. A representative for the company says, "It is very important to keep your boat clean and to protect it from the weather and other elements that can harm the finish. Our boat detailing services come to you to make it more convenient for you and to save you time." The detailing services company states that their mobile boat detailing services are available for anyone in the Phoenix area. The spokesperson for the company states that they have years of experience in detailing cars, trucks, SUVs, classic cars, boats and motorcycles, as well as airplanes, and states that they can help boat owners to protect the finish on their boats with a quality detailing service. "We can detail your car, truck, bus, boat or anything else that you have," says the company spokesperson. "Most detailing companies are going to be able to do one or two vehicles, but we can do them all, and we have more than three decades of experience in doing it." The company says that there are a variety of detailing packages available and that the specific package that is right for one customer may not be right for another. He says that customers will need to contact the company for a quote that will help them to determine a more personalized approach to their detailing needs. The company states that their technicians have the qualifications and experience needed to provide customers with a high quality detailing of their boat or other vehicle. Those who are interested in boat detailing Phoenix services can contact the company to request a quote for their services. The company says that because they offer mobile detailing services, customers can go about their business, tend to their jobs or perform other tasks and the company will drive to them for the job, bringing with them all of the cleaning supplies that are needed for each job. Boat detailing typically involves a thorough cleaning of both the interior and the exterior of a boat. D.I. Auto Care states that their technicians will thoroughly clean the boat and remove any contaminants that could harm the finish. He says that adding a layer of wax on occasion can significantly help to protect the finish of the boat from a number of elements. Boats on the ocean tend to rust much more quickly due to the high levels of salt in ocean water, but the company states that even boats that are typically docked on lakes or other freshwater areas can suffer from rust or oxidation if they are not cared for properly. The company states that anyone who has a boat, particularly one that is constantly docked on water, should seriously consider having that boat detailed to remove those contaminants that can cause it to rust or cause spots to appear in the paint and otherwise make the boat's finish look shabby. The company states that they offer mobile services for detailing a number of vehicles to help save their customers time. In today's rush world, many customers claim that they do not have the time to take their car to a detailer and wait for it to be finished. D.I. Auto Care says that they will bring their mobile services to the customer, at home, at work or even at the dock in the case of boats. They state that they can handle any heavy cleaning of those boats and get the boat back to its most beautiful condition. Experts agree that having a boat detailed can significantly improve its resell value, as well. Those who may be considering selling their boats can contact the company for a thorough detailing, which studies have shown could raise the resell value by as much as 10 percent or more when compared to boats that have not been cleaned or waxed recently. The company states that anyone who is interested in learning more about their boat detailing services can contact them through their official website or browse the website to find information on any of the detailing services that they offer. Those interested can also visit the website to read through a number of positive reviews that have been left by other customers and learn more about their specific service locations and the history of the company. 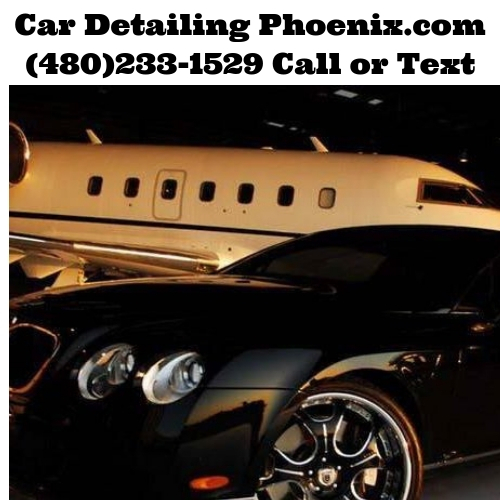 We offer Mobile Detailing, Window Tinting and Auto Glass Replacement in the Phoenix Metro Area. We also have a 5 Star Rating on Google and Yelp.